The first cemetery in Ishpeming was located on North Main Street, between Pine and Maple Streets. The cemetery was divided into the city portion and the catholic portion. The city cemetery was 3.36 acres in size; the catholic portion was larger and bordered on the south by North Street. Burials began in the combined cemetery in the late 1860’s. Due to the rough terrain and only three feet of topsoil, the city began looking for a new burial site as early as 1882. St. John’s Catholic Church was the first Catholic Church in Ishpeming, having been organized in 1869. Members of the church who died before 1871 were buried in the village of Negaunee, about 3 miles away. The first recorded burial at the Catholic Cemetery in Ishpeming was on May 3, 1871, being that of Martin Wall. The last burial was of Joseph Raymond on July 23, 1887. The Cemetery was abandoned in 1890 and many bodies were re-interred at the new site, which was developed on Deer Lake Avenue in Ishpeming. A portion of the burial ground was then named St. John’s Cemetery. Between 1905 and 1911 over 3,000 bodies were removed from the old burial site to St. John’s Cemetery. Because there was no grave registration in the early years, many bodies, especially those in “Potter’s Field”, were missed. In the 1930’s, as houses were being built on former burial ground, many unidentified bodies were recovered. Today St. John’s Cemetery is located within the Ishpeming Cemetery and is governed by the City of Ishpeming. 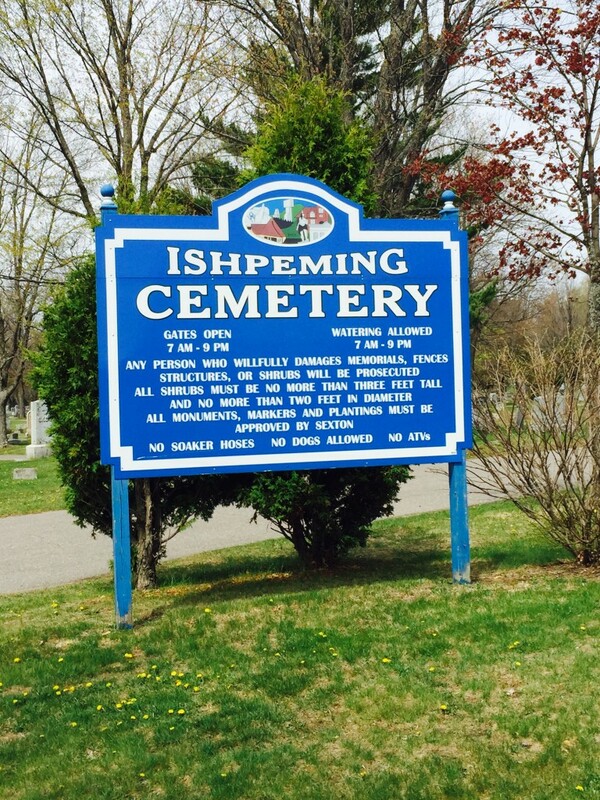 The Ishpeming Cemetery office has burial records from 1894 to the present. 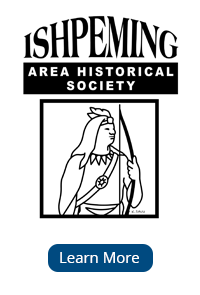 Please contact the Ishpeming Cemetery Office at cemeteryparks@ishpemingcity.org or by calling (906) 486-6181/(906) 486-9371.